For about 150 years, Rocky Point amusement park was home to one of Rhode Island's most popular entertainment attractions. This now-abandoned shoreline facility was the second oldest operating park in the United States when its gates closed in 1995. Rocky Point Park was constructed during an era when families spent weekends and summers strolling and boating along what today is known as Warwick Neck, in Warwick, Rhode Island. Excursion boat operator Captain. William Winslow frequently boarded passengers in this area. In 1947, he purchased a piece of this land and constructed a few rides, including a Ferris wheel, hotel and dining attractions. Already dubbed Rocky Point Park, this area became quite popular with locals and guests who would come down to Warwick from Providence, Rhode Island. In 1883, a fire damaged most of Rocky Point, including many of its attractions and a neighboring hotel. The park was then operated by Col. Randall A. Harrington, who took over ownership after Winslow died. He never let the devastating fire ruin his dream. He rebuilt the entire amusement park. A few years after these attractions were completed, tragedy once again struck the park. In 1938, the "Great New England Hurricane" bore down on this region, once again destroying a portion of Rocky Point amusement park. This time, it took nine years to rebuild. 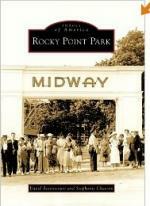 A book about the history of Rocky Point Park. Besides the rides, park guests were treated to a skating rink, petting zoo, games on the midway, entertainment at The Palladium and meals at the Shore Dinner Hall. The park was so popular, it even drew the attention of U.S. President George H.W. Bush, who spoke at a Republican fundraiser there in 1989. Musicians Frank Sinatra, Chubby Checker and the Ramones also performed in front of large crowds at the park. Owners of the 123-acre park during this time included the Vincent Ferla family. 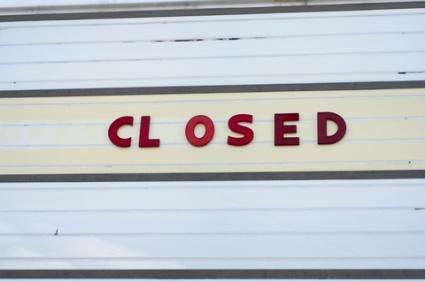 In 1994, in an effort to reorganize, Rocky Point Park filed for bankruptcy. It owned more than $9 million to creditors. The park, however, could not bounce back from this deficit. In 1995, it closed its gates, and an auction sold many of the tangible memories people had of the New England theme park. In 2000 and 2006, fire again damaged a portion of the defunct theme park. In 2007, a major portion of the remaining theme park was demolished including the midway and several buildings. In 2008, the city of Warwick secured a federal grant to purchase about 82 acres of Rocky Point Park property. In 2010, voters passed a ballot measure to establish the land as a public park. Even though the Rocky Point Park itself is a thing of the past, memories of its hey days are still very much alive. In 2006, the film You Must Be This Tall: The Story of Rocky Point Park was released and received several local film awards. A Facebook page has been created about the park, and there are several websites available with a variety of historic information and photographs relating to Rocky Point Park.